Mark Rodin is in his 28th year at Florida State University as a faculty member in the College of Communication and Information and as Executive Director of Seminole Productions. Rodin, founded Seminole Productions along with former College of Communication Dean Ted Clevenger in 1987. One of his first productions was a behind the scenes documentary on newly hired basketball coach Pat Kennedy called “Pat Kennedy: Beginning of an Era”. Soon after Rodin was producing all the videos for Bobby Bowden and the FSU football program. In 1989 he oversaw the football coaches conversion from film to video and took over the day-to-day operation of the coaches video department. In his role of overseeing the coaches video department Rodin also made the conversion to computerized scouting systems. In 1998 Rodin was named Atlantic Coast Conference “Video Coordinator of the Year” in a vote by his peers for the inaugural award. 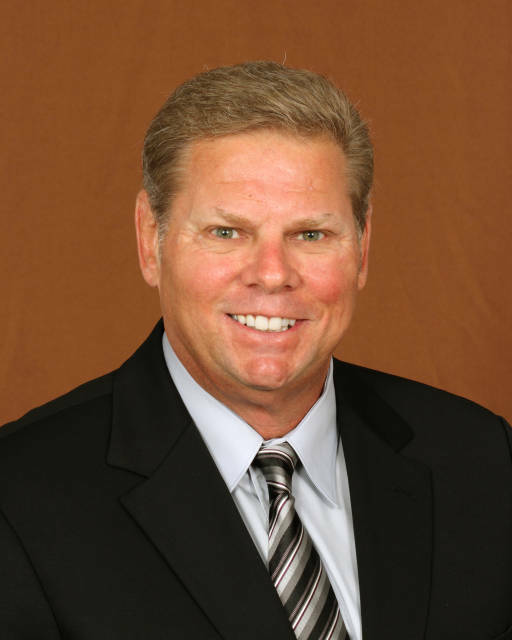 As director of Seminole Productions Rodin is Executive Producer for numerous television programs for FSU Athletics including the Jimbo Fisher Show, The Leonard Hamilton Show, The Mike Martin Show, Seminole Sports Magazine and many others. He was Executive Producer on football highlight programs from 1988 to present, which included many memorable productions from the football “Dynasty Era”. Rodin was also Executive Producer on documentaries “Bobby Bowden: Building A Tradition” in 1996 and “FSU Football: The First 50 Years” in 1997. In 1999 Rodin would oversee the installation and operation of FSU’s first video board at Doak Campbell Stadium. In 2006 Seminole Productions moved to a new state of the art production facility in the new Moore Athletic Center that Rodin helped plan and design. In 2008 he was instrumental in the design, planning and implementation of an upgraded control room and new football stadium video boards and ribbon boards. Rodin is also pioneering the use of 3D-Stereo video in sports applications. Rodin is considered a leader in the industry in 3D stereo event production and techniques. In his role as a faculty member in the Florida State University School of Communication, Rodin is an instructor in the Media Production program teaching classes in advanced post-production, multi-camera production, single-camera production and various other workshop and practicum classes. Students working with Rodin and Seminole Productions work on a variety of productions gaining valuable real-world experience in a classroom setting. Rodin’s students have gone on to work for ESPN, CNN, Turner, ABC, MTV and more. Rodin is a member of the Information, Display and Entertainment Association (IDEA), the College Sports Video Group and the Sports Video Group. Rodin served as a college representative for IDEA. Through Rodin’s leadership Seminole Productions has garnered over 50 national and international awards over the years. These awards include “Top College Video Board Display” from IDEA in 2006 and 2007, Platinum Best of Show Aurora Awards, Telly Awards, Communicator Awards and Videographer Awards. Rodin also received the “Seminole Award” for leadership from Florida State University and in 2013 Rodin was honored as only the second recipient of the Sports Video Group’s prestigious Pioneer Award for contributions to the college sports industry. Rodin is married to Wendy Bitner Rodin he has three children, Matthew, 26, Eric, 22 and Kaylee, 18.